Another glimpse into our Church Issue, which is out now! If you haven’t gotten one, order it here. If your beloved but painfully awkward pastor/therapist hasn’t received one, subscribe them here. How many times have you needed a shoulder to cry on, and got cold moralism, instead? How many times have you dealt the flip side of that same coin? Here is a list for anyone who has ever received counsel or has ever given counsel and wondered what went wrong. 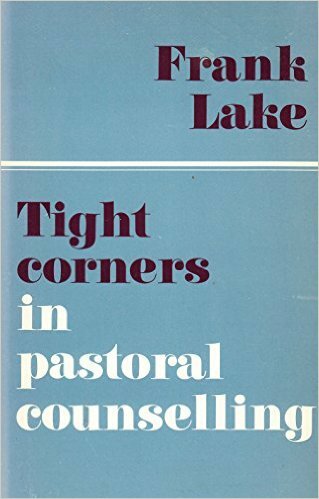 They are a paraphrased version from Frank Lake: The Man and His Work, by John Peters, and were compiled by Lake’s practical experience as a clinical psychiatrist and theologian. Premature Solutions (“It sounds like your problem is…”) Because a counselor or a minister is in a hurry to establish his/her own confidence as a healer of souls, or as someone who can grasp the matter quickly, he/she might offer a solution before the point of the problem has even been reached. Pre-emptive Moralism (“Do you think this might have to do with your history of…?”) A counselor may look directly to past sins as a reason for someone’s current suffering, instead of the potential that sins have been committed upon them. When the issue is addressed in this way, the sufferer is left to feel (directly or indirectly) the condemnation and judgment of his counselor. Blocking Strong Feeling (“Here, take a tissue.”) Because the counselor can’t bear the sight of a no-holds-barred reaction, the very kind of reaction that we have when we are small children, she precludes the needed catharsis available to the sufferer. She believes that strong feelings are dangerous. The Need to Be Right (“Like I said!”) Despite the fact that, throughout life, we are often punished for not having the right answers, counseling relationships tend to work in the opposite direction. A counselor is duly punished when he closes the door with his need to be right. It is possible that this counselor cannot get away from the image of himself as the good college student. The Insistence on Clarity (“Tell me what you mean by…”) Despite the fact that the sufferer has not been able to make heads or tails of her suffering on her own, the counselor believes that somehow, today, she should be able to explain it succinctly. The counselor’s job, instead, is to take the advice of Romans 8, to listen for the ‘groanings that never find words,’ and wait there. Projecting Parallel Experiences (“I, too, worried about that—but here’s the thing…”) Because the counselor cannot stay with the sufferer’s own tale, which may not have a happy ending, he distorts the tale into one of his own—one that, obviously, did have a happy ending. Look where he is now! The feelings of inferiority are palpable in the room. Practical Solutions (“What if you tried a new morning routine?”) In evasion of the deeper difficulties, the counselor suggests “geographical escapes”—vacations, changes of sleeping habits, chore lists—to fix the problem at hand. This, of course, makes her feel helpful, but is utterly irrelevant to the underlying problem. Christianese (“Just nail it to the Cross, bro!”) These seemingly helpful bits of biblical wisdom also demonstrate no desire for pastoral relationship. They are also the trophies of a Christian show-off, and how his godly know-how has kept him from similar trouble. Silence-Breaking (“Totally, yea, and it sort of feels like…”) Silence tends to grate on the ears of the talkative counselor. She will break in with good advice and encouraging nudges each time she begins to feel embarrassment. For the depressed or apathetic person seeking counsel, this is the icing on the cake—more proof that they cannot be heard. Playing Your Role (To himself: What have they come to me to get?) This could be a number of roles, but the counselor who feels he cannot leave his prescribed ‘type’—instead of being himself—generally cannot make headway in pastoral relationship. He is too consumed by his public reputation, as the ‘wise one’ or the ‘levelheaded one’ or the ‘disciplined one’ to let his guard down. Scandal! (“Wait, just so I’m clear on the details…”) This is the counselor who importunately uses her privileged position for dirt. She will never admit it, but her interest in all the sordid details of the sufferer’s account is not a extension of grace, but a power play. It won’t be long before the snoop is discovered. Typecasting (To himself: This is a classic Working-Mother-Feeling-Useless-At-Home issue.) For the sake of quick disposal, the counselor shoehorns the sufferer into one of his quick pathological types, which destroys not only the acute individuality of their need, but also the spontaneity upon which the counseling relationship depends. Click here to order The Church Issue today! All these are so spot-on. There have been one or two instances of ‘Christianese’ in past counseling sessions in my life. Nothing like trying to put a Band-Aid on a heavily-bleeding wound. Thanks for posting these. LOVE the Mockingbird ‘Church Issue’, BTW. Great job, by one and all. Hate this article! It is heavily biased and fails to present level sides of several issues. First., emphasis on PASTORAL counseling needs more clarity and description as in separating professional counseling and Christian counseling. I found the article condescending and imbalanced to show the good. Also is a pastoral does one or more for how long and to what degree do you judge the work bad? What about the other side when true pathology of a client uses this to counter judge and rather than facing their true issues uses this article to call their helper bad with trumped up charges. Bad form in the article as a whole. can’t say the pastoral counselor my wife & I went to ever did any of these. In fact to this day I don’t know what he was trying to do or be. He wasn’t a facilitator – didn’t try to move the conversation along, wasn’t a guide – didn’t try to lead the conversation, never tried to provide solutions, never tried to get us to see each other’s point of view, heck he wasn’t even a referee – would just set & allow me & my wife to argue.